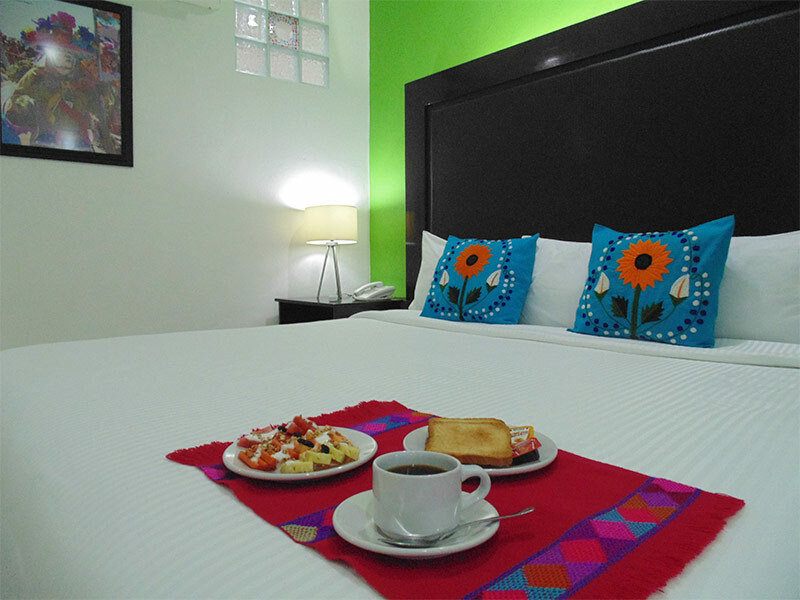 Chiapas Hotel Express offers you 32 non-smoking rooms divided into single, double and estrellas, each one fully equipped with all the comforts you need and appointed with a nice, clean design that highlights every modern space. This is the smallest room in the hotel, equipped with air conditioning, television, Wi-Fi and full bathroom with amenities. Features one king size bed and sleeps 1 to 2 persons. Larger than the single room, it’s equipped with two double beds to sleep 1 to 4 people. Its services include air conditioning, television, Wi-Fi and full bathroom with amenities. These are bigger than the other rooms. Feature two double beds and a sofa bed to sleep 1 to 5 people. Their services include air conditioning, television, Wi-Fi and full bathroom with amenities.